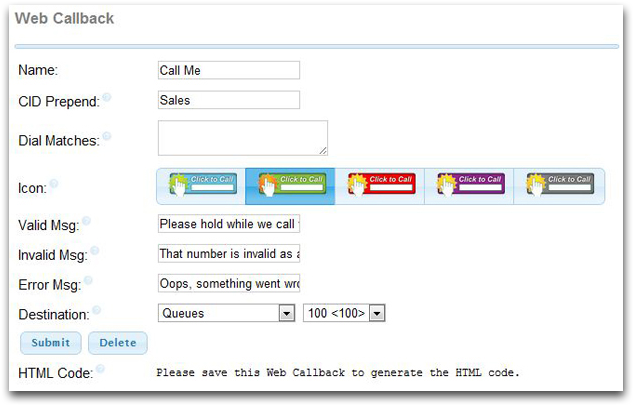 The Web Call Back module allows you to easily add an HTML call me box to your website. Visitors simply put there phone number in to be connected with you, or a specific destination. The Web Callback module allows you to specify a CID to be prepended which alerts you that the call is coming from a specific callback. You can also set Dial Matches to specify which numbers users are allows to call. Once you have set your destination and saved changes you will be given HTML code to paste into your website.